BOOK: Uncover the miraculous story of Jesus’ sacrifice as it is powerfully and prophetically pictured through the Scriptures beginning with the Covenant rituals, Adam and Eve, Abraham, Moses and the prophets. 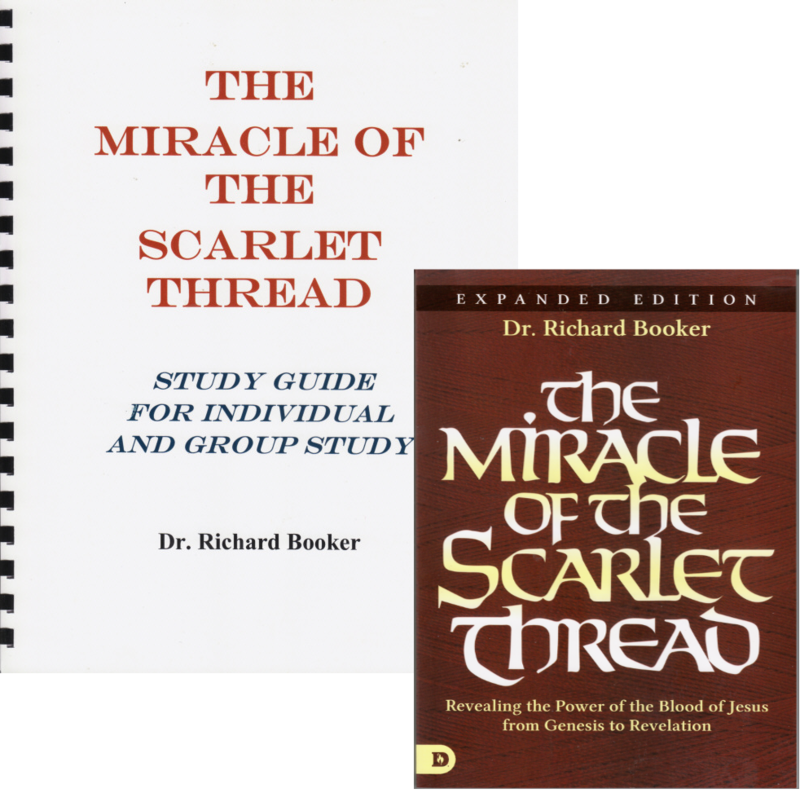 STUDY GUIDE: Over the years people have requested a Study Guide for The Miracle of the Scarlet Thread. So here it is. The Study Guide is organized according to the chapters in the book for easy use. It is a self-study with questions and space provided for you to write your personal reflections and insights. There are key Scriptures included for further meditation. Using the Study Guide along with your Bible and book helps internalize the material so that it comes alive in you. The Study Guide can be used by individuals or in a study group to help facilitate group discussions.